November 2009 | Tired, Need Sleep. Kylie at Our Worldwide Classroom has an awesome of an Active Alphabet set going on. Check it out here! Oops - I had a problem with the dates! 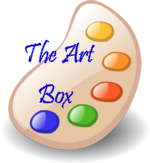 You can link up your art box posts now, please do!! In the Art Box last week: scrap paper (including patterned paper, half a paper plate, construction paper scraps, tissue paper), some car pictures torn from a magazine, sponge, craft leaves, bubble wrap, glitter glue, glue in a bottle, gluestick, watercolors, foam stickers, paint brushes, scissors, flat piece of styrofoam, watercolor pencils, and tempera paints. And he only wanted to pop the bubbles on the bubble wrap. After he popped all of them he did put some stickers on it for a funky collage: I always get a laugh from how this kind of thing keeps him occupied… so I just let him keep at it. I found a way to have a small amount of tempera paints in his box for him. I bought this at Dollar Tree: It’s a pill organizer. We take off the entire lid (instead of one section at a time), and M has this: It’s perfect for his box. It has enough room for all the primary colors and an extra spot for white. He was very excited to see this. Show us what your little artists did… Link up below! This book was written to provide answers about God’s plan for worship, what worship is, and how to go about worshipping in a Biblical manner. The author does a very good job of presenting worship practices from the Bible in an easy-to-read style. He takes the reader through both the Old and New Testaments as he examines recorded examples of worship. While I feel that there is quite a bit of good information to be taken from this book, the overall tone of the author was a bit off-putting to me personally. The writing seemed a bit contrived, as he tried (too hard in my opinion) to speak in a familiar tone, often sounding as if he were explaining his ideas to a small child. He also used many Wikipedia citations, which caused me to question the depth of his research. Also, it seemed to me that much of the same information presented in this book could be found simply by reading the Bible on one’s own. While the author did stress the importance of obedience as the beginning of true worship, I felt he often confused praising God with worshiping Him. Praise certainly has its place in worship, but the words are not entirely interchangeable. All in all this book was easy to read and did a good job of presenting stories of the Bible pertaining to worship. However, I felt that a crucial element was missing – a look at how offering our lives as a sacrifice to God, day in and day out – in everything we do – is at the very core of worshipping Biblically. Thank you to Thomas Nelson Publishers (http://brb.thomasnelson.com/) for providing me with a copy of this book to review. This was a pretty light week for us… and we enjoyed it! We didn’t try to do too much, and just had fun. He put pipe cleaner “branches” into the holes of a salt shaker, then added fall colored leaves (pony beads). He loved this, and thought it was hilarious to call them branches and leaves. We got this idea from the Schafer Family blog. We played “store” with M’s pretend food and a cup of pennies. We both had so much fun with this and M had a smile on his face the whole time. I don’t know why we haven’t done this sooner. He told me later in the day, “I had fun playing store with you, Mommy!” :) We set up his fruit and veggies on the loveseat and he picked the items he wanted and I told him the price. It was perfect for counting practice, and when he ran out of money we had a short conversation about why we can’t always have everything we want. 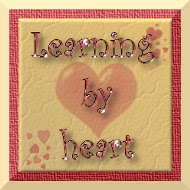 This great idea came from Mouse Grows, Mouse Learns! We played a sensory game with a few matching pairs of items and a small pillowcase. One of each pair went into a small container and the other went into the pillowcase. M had to pick an item from the plastic container, then try to find the matching item in the pillowcase using his sense of touch only. I held the bag for him, but he was on his own here just so I could take a picture. :) He did great with this and had so much fun we did it again right away. Here are the items we used: pennies, pinecones, wooden blocks, megablocks, clothespins, glass pebbles, pipecleaners wound into a circle, craft leaves, and spoons. We had so much fun with this and we will definitely be doing it again. What a great way to list our blessings and what we are thankful for. We went to our Nature Center again for our weekly class and while there the kids drew pictures of what they are thankful for. Here’s M’s: Apples were first on his list, you can see it in the middle. Other things were his family, building a snowman, and going sledding when it snows. He had a great time scribbling… I was surprised because he has not shown that much interest in crayons at home. At the nature center he was still coloring when all the other kids were done! For more Tot School posts, go here. Martin Waddell has written a whole series of books about Little Bear and Big Bear, and we love them all. I’m not sure why I haven’t written about them before; they are definitely in our list of top favorites. When we picked this one up at the library yet once again, I realized I need to write about this series. Another definite favorite this week was Duck and Goose, by Tad Hills This is a cute and funny story of a duck and goose who find a ball and assume it’s an egg. They fight over whose egg it is going to be and both end up sitting on it waiting for it to hatch. What started as a rivalry soon ends up as a friendship as the two learn to work together. Of course a sweet little bluebird comes by and disillusions them about the “egg”, but they are both able to admit their foolishness and enjoy playing with the ball together. This is a great book to use as a starting point for talking about sharing and cooperating with others. This is the first Duck and Goose book we’ve read, but apparently there are many more. We will definitely be checking them out! For more book reviews, go here! There aren’t a lot of fall and farm stickers, so I didn’t make a full page sticker scene. I thought about doing that and adding it to M’s homemade sticker book, but decided against it. Instead, I made them with ziploc bags. Simply cut construction paper however you want, then layer it using double stick tape. Make sure it will fit into your bag, and pop it in. Seal the bag so all the air is out (as much as you can). As I’ve mentioned before, M is in a no-crafts kind of mood lately. Right at the beginning of craft-heaven season. Sigh. It may be pointless, but I’m still trying to come up with some fun crafts to do with him this year for Christmas. I’ll talk about my plans in another post (soon, I hope! ), but I thought it might be fun to show you some things M made last year, pre-blog. In case these inspire you with any ideas of your own, M was just under 28 months old when he made these. **Update**This post originally had a few link-ups and comments and then... well it got deleted. There's a long story behind this that isn't very interesting, but would explain to you how blog-ignorant I am sometimes. :) I finally was able to re-post this post, but all the comments and links to other art box posts from other bloggers are gone forever. (Sounds so very sad, doesn't it?) We will try again next week! Just wanted to explain in case any of you are wondering why your links aren't showing up! M is still enjoying his art box, and went to it or asked for it at least once a day last week. He loved seeing the Color Slicks out. We haven’t used them for a long time, and with good reason… they are extremely messy. They make beautiful, brilliant colors and draw even more smoothly than oil pastels, but ugh. Chunks break off and stick to things and then you step on one and track color through the house… and well, you get the idea. Here’s his lovely picture: They are so much fun, but I can’t recommend them. If they bother me because of the mess, believe me, they are REALLY messy. I actually took them out of the art box halfway through the week. I added a little something I found at Michael’s over the weekend: Now, this is not completely child-directed art, but I don’t feel it’s a “craft” either… these coloring pages of animals have strips of dry watercolors along the bottoms. I showed M how to dip a q-tip in water, rub it on a color, then paint the picture. I feel that one “fun” thing to find in his art box that he can do by himself can add to his enjoyment and teach him something new. He’s never painted with q-tips before and he thought this was a lot of fun. He actually asked for his watercolors (which I was happy to trade for the Slicks) and throughout the week made these paintings: Water colors were definitely the big hit of the week, and he has really progressed with his knowledge of how to make them lighter or darker. I love it when he learns something all on his own! He was especially fascinated with the black paint. He loves the do-a-dot painters, and I was hoping he’d pair them up with the coffee filters, but for whatever reason he wasn’t interested in the filters at all. He used the dots on newsprint: He did enjoy seeing what some of the colors made when they were put on top of one another. He asked for foam stickers too. I guess he had his own ideas of what he wanted in his box this time! He made this little collage with some glitter glue (still a huge favorite, and almost completely gone): Well, apparently that photo was taken pre-glitterization. I’m not taking a new one now, so you’ll have to use your imagination. :) Sparkly! And that’s it for the week. I thought he’d do something with the cardboard tube, but all he did was cut it a little bit and stick it on the railing on the basement stairs like a sleeve. :) No picture of that either, although he was very proud of himself for doing it! Silly boy. I can’t wait to see the art your little ones made!! Link up below!